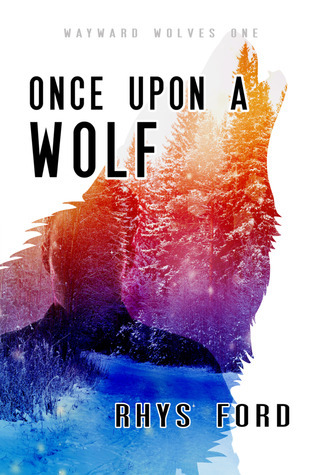 Gibson lives in a cabin, in the mountains with his brother Ellis…a wolf. The Keller brothers are werewolves, and Ellis has been stuck in his wolf form for the last 2 years. One night, Ellis chases the new owner of the B&B Zack off a cliff and Gibson comes to his rescue. The attraction between Gibson and Zack is strong, but with Ellis’ condition and old family grudges, they’ll have to find a way to be together without losing everything in the process. It was a sweet love story. Gibson is strong, hard but soft. He’s the only one who wants to take care of his brother—he’s the only one who fights for his brother, I loved this about him. He wants Zack, it’s clear to him that Zack is made for him, but he doesn’t want to rush things between them, and wants to help his brother first. I really loved him. Zack is a survivor. He survived a car accident, and then he survived a wolf (lol) and even with that, after the shock, Zack stuck with the brothers, and helps Gibson to take care of Ellis. I loved this guy, his loyalty, and his temper. He may be human in comparison to Gibson, but he knows how to tame the big bad wolf. I loved this two lovebirds, but my favorite is Ellis. Wolf or Human, I loved him. I want to know more about him, and I hope/pray that the next book will be about him. The story and the plot were good, coherent, fluid and well built. It was my first time with Rhys Ford, and I wasn’t disappointed. I gladly recommend this book, and I’ll follow the series. It’s 4 OptimuMMs for the wolves and their human.